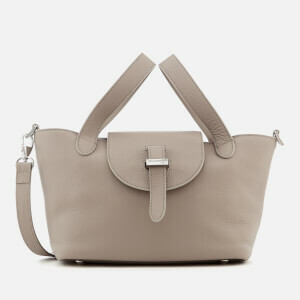 Women’s ‘Thela Mini’ tan leather bag from meli melo. 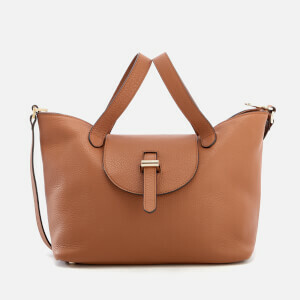 Crafted in the classic design from Italian leather, the slouchy trapeze shape features two inverted top handles and a detachable shoulder strap for versatile carrying options. 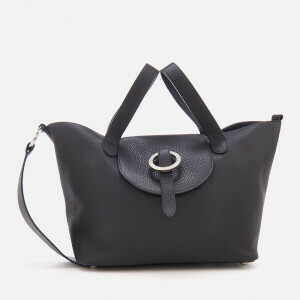 The handbag comprises a front flap closure with pull through magnetic fastening and a suede lining with zip and slit pockets. Gold hardware completes the design. Dust bag included.